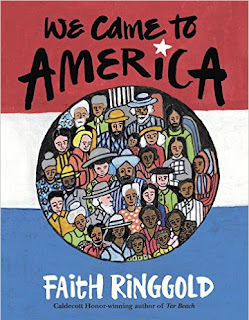 Faith Ringgold, lives and continues to work in Englewood, NJ. 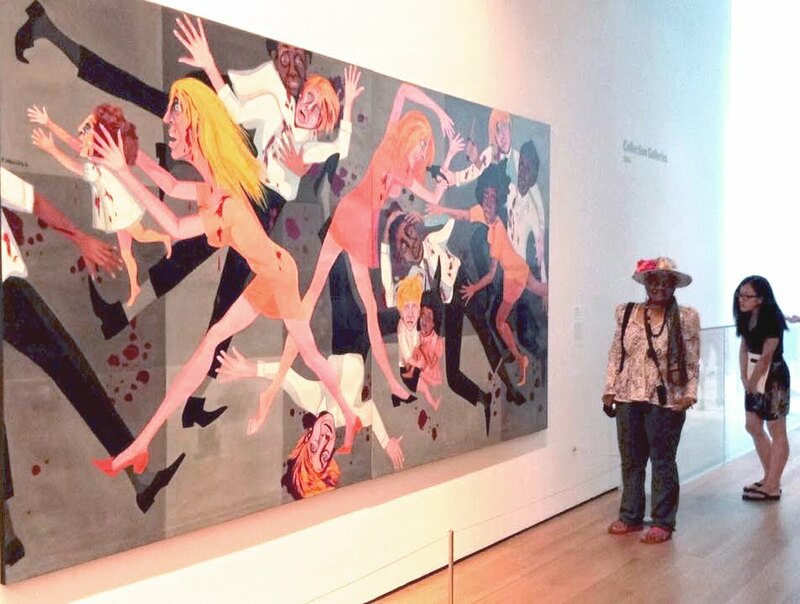 She began her career in the early 60’s as a painter, an art activist, feminist and an educator. Her protests, events, happenings and exhibitions of the 60’s and 70’s took a stand for Freedom of Speech and equality, she broke ground and opened (museum) doors for artists of color and women. 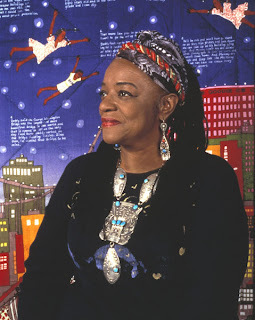 Today, she is best known for her painted story quilts and her illustrated children’s books. 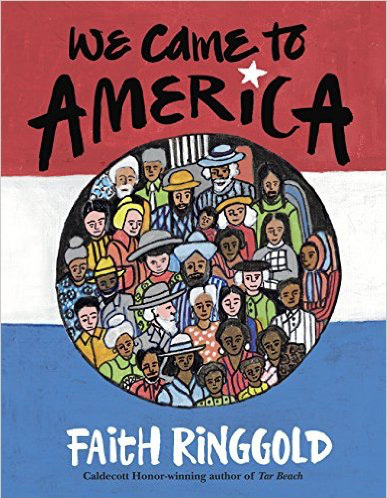 Ringgold’s first book, Tar Beach, was a Caldecott Honor Book and winner of the Coretta Scott King Award for Illustration, among numerous other honors. 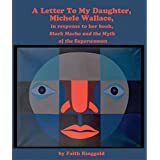 Ringgold has illustrated fourteen children's books eleven of which were also written by her. She has exhibited in major museums in the USA, Europe, South America, Asia, Africa, and the Middle East. She is in the permanent collection of many museums including the, Solomon R. Guggenheim Museum and the Metropolitan Museum of Art, and Museum of Modern Art. 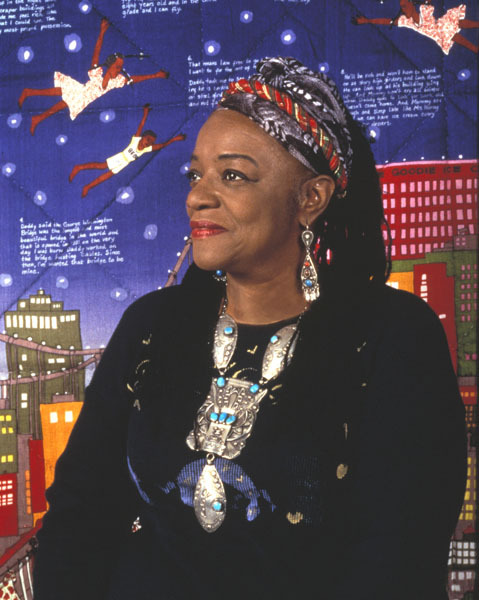 Ringgold has received more than 75 awards, fellowships, citations and honors, including the Solomon R. Guggenheim Fellowship for painting, two National Endowment for the Arts Awards (for painting and sculpture) and 23 honorary doctorates, one of which is from her alma mater The City College of New York. 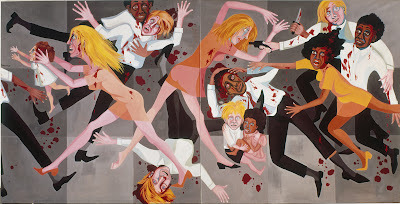 Ringgold is professor emeritus at the University of California in San Diego, California and is represented by ACA Galleries in New York City. 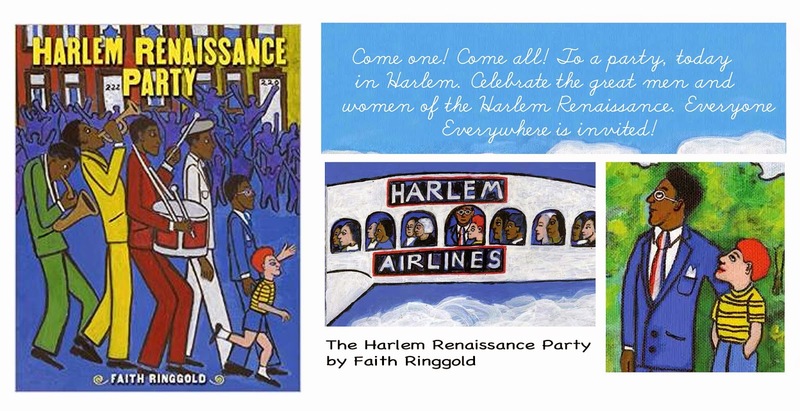 Faith Ringgold's 16th book, Harlem Renaissance Party, written and illustrated by the artist, will be released by Harper Collins January 27, 2015.